Retail purchasers are making a concerted effort to find ethical diamond vendors in order to avoid some of the moral pitfalls of the global trade in gemstones. Phys.org reports that in recent years purchasers of diamonds have increasingly turned to Canadian diamonds in order to avoid purchasing the types of "blood diamonds" which were most memorably brought to public attention in the 2006 Leonardo DiCaprio film on the topic. Trina Hamilton, an expert in corporate responsibility at the University of Buffalo, tell Phys.org that ethical options for diamond buyers now extend beyond merely purchasing them from a stable OECD nation like Canada, with sub-Saharan nations now joining international efforts to promote the moral sale of gemstones. 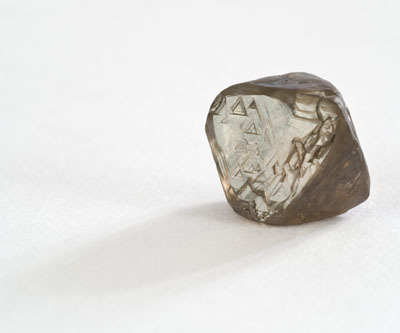 Hamilton conducted a survey of 94 diamond retailers who market themselves as ethical vendors and discovered that 13 sold stones from countries outside of Canada, including Botswana and Namibia. Even Sierra Leone, which was the setting for the 2006 DiCaprio film "Blood Diamond", is undertaking efforts to promote the sale of ethical diamonds in order to obtain funds to help rebuild the country in the wake of a devastating civil war.